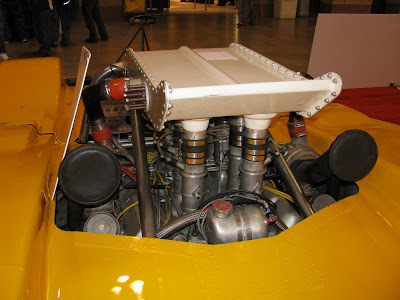 This car was built in 1969 with all wheel drive and was powered by a twin turbo, aluminum Oldsmobile 455 V-8. Pretty technologically advanced for 1969. 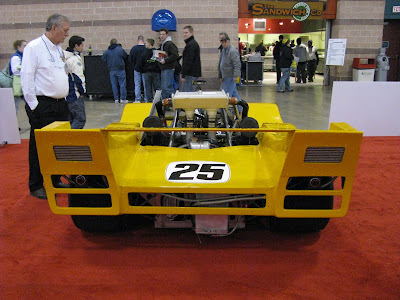 This car was being displayed at the New Jersey Motorsports Park booth. The car is currently owned by Albert Way. 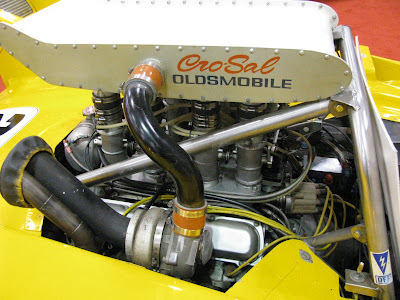 I was curious who Cro-Sal was, since they are credited with building the Olds V-8. About all I could find with a quick Google search on Cro-Sal was that this name came from two mechanics, Gene Crow and Ralph Salyer. 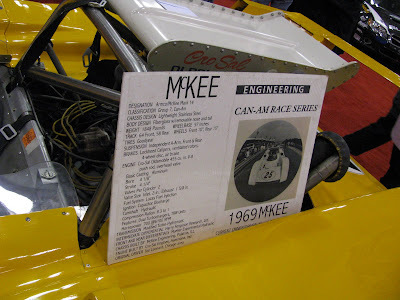 I found some informative links that explain a little more history about this particular car, and the Can-Am series as well. 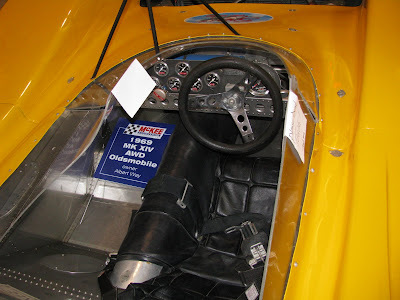 The first link I found is at ConceptCarz.com. 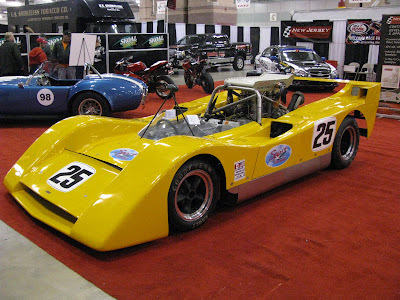 If you want to know more about the Can-Am series, which ran from 1966-1974, you can read about it here on Wikipedia.